ROYAL ASCOT winning trainer David Marnane is to send three horses to compete at the 2019 Dubai World Cup Carnival. His team will comprise stable star Settle For Bay, the progressive sprinter Freescape and a fascinating new recruit from Argentina called Tato Key. Marnane has been one of the biggest Irish-based supporters of the carnival for many years, and has enjoyed plenty of success since Dandy Boy gave him his first winner in 2011. He saddled at least one winner at each of the three carnivals which followed, courtesy of Nocturnal Affair, He’s No Saint, Jamesie and Elleval. The latter became something of a cult favourite at Meydan, racing at five consecutive Carnivals and registering two wins and 11 placings. While Marnane, who worked for both Kiaran McLaughlin and Doug Watson at Red Stables before setting up as a trainer in his homeland, has rattled the crossbar with placed runners at more recent carnivals, he believes his latest Meydan team is his strongest yet. “We are all really excited about the horses we are bringing to Meydan,” said the Tipperary-based trainer. “For what is a smaller yard, to have three horses I really think can be serious contenders heading there is brilliant. 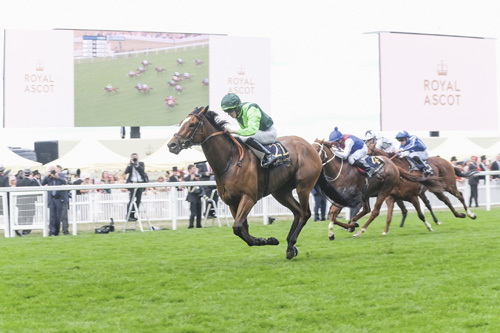 “All being well, the plan is for them all to leave for Dubai on December 21.” His team will be headed up by Settle For Bay, last seen turning the ultra competitive Royal Hunt Cup at Royal Ascot into a procession. The progressive 4yo is officially rated 107 and will start off his Dubai campaign in Group company. “After Royal Ascot, he picked up a foot bruise that just lingered for quite a while,” said Marnane. “He is a horse we always thought would be suited by Dubai and one of his owners, Dennis McGettigan, lives there, so we decided to take our time with him and aim at the carnival. “He looks a bigger, stronger horse than he did earlier in the year and we are very excited to see him out again. “The intention is to start him off on the opening night of the Carnival in the Singspiel Stakes, a Group Three over nine furlongs. “Based on what he did at Royal Ascot, you’d have to hope he can improve again. “Like all of ours, he’ll be trained with a view to progressing from run to run out there, and we are dreaming of getting him to the Dubai Turf on World Cup night.” The second string to Marnane’s bow is Freescape. The 3yo is making his second visit to the carnival, having finished third in the Meydan Classic last March. 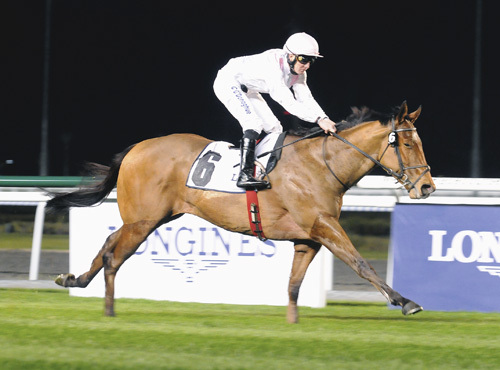 He looked better than ever when winning a handicap at Dundalk last month, and Marnane hopes he can continue to improve when returning to Meydan. “He seems to be faster as he has matured, and I was impressed with his win over six furlongs at Dundalk last time,” he added. “He clocked a fast time and showed a good turn of foot there, so the hope would be that he can continue to progress over sprint trips, which he is unexposed over. 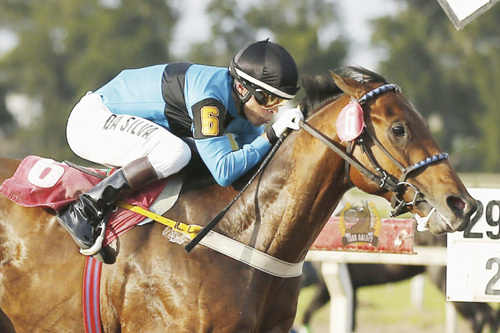 “There is a 5f handicap on turf for him on the opening night of the carnival, and that looks to be a good starting point.” The team is completed by what is a fascinating and essentially unknown quantity, in the Argentinian import Tato Key. The 4yo has won 12 of his 14 starts over sprint trips on the dirt in his former home country, including two Group Two contests. He was bought by Michael Donohue for Zhang Yuesheng, of Yulong Investments, earlier this year and was sent to Marnane during the summer months with a view to a Dubai campaign.